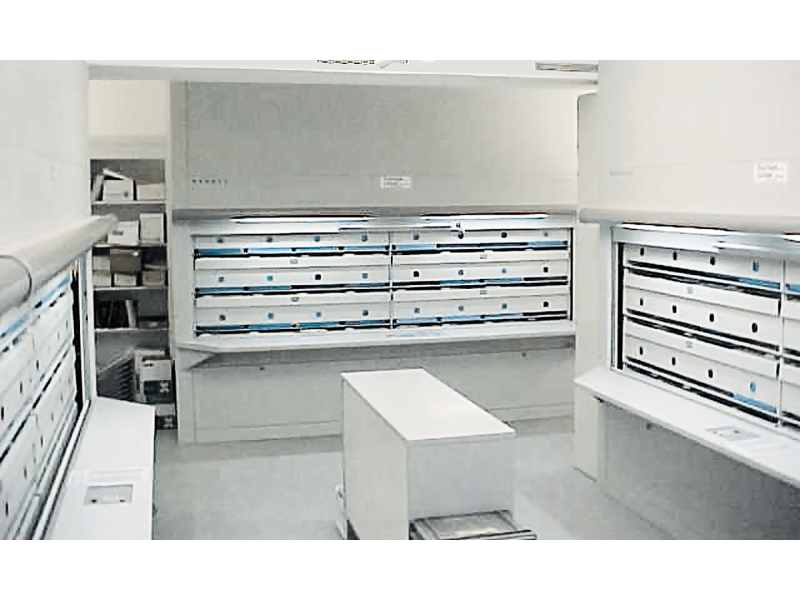 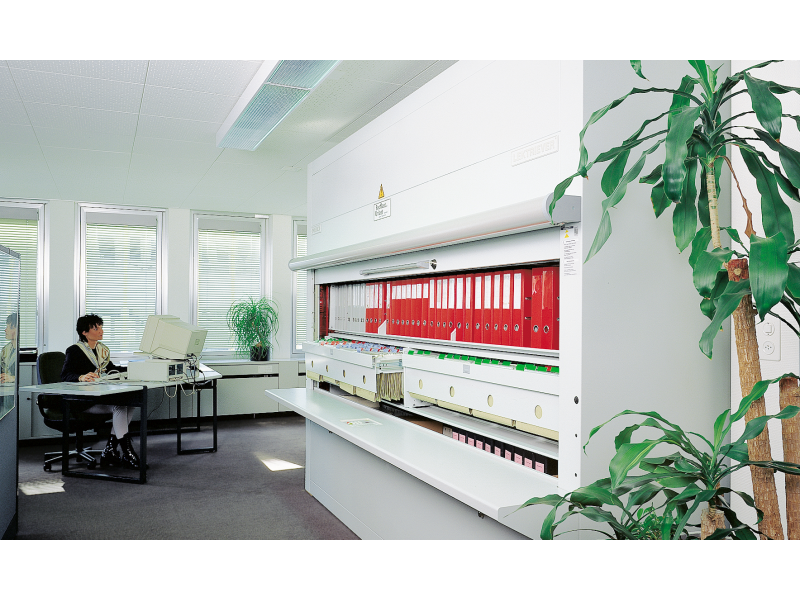 High Density Office Storage for documentation, files, folders and lever arch. 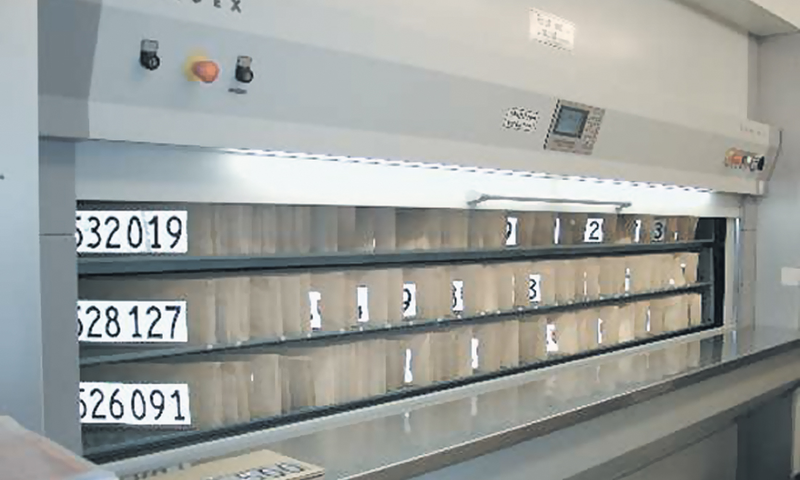 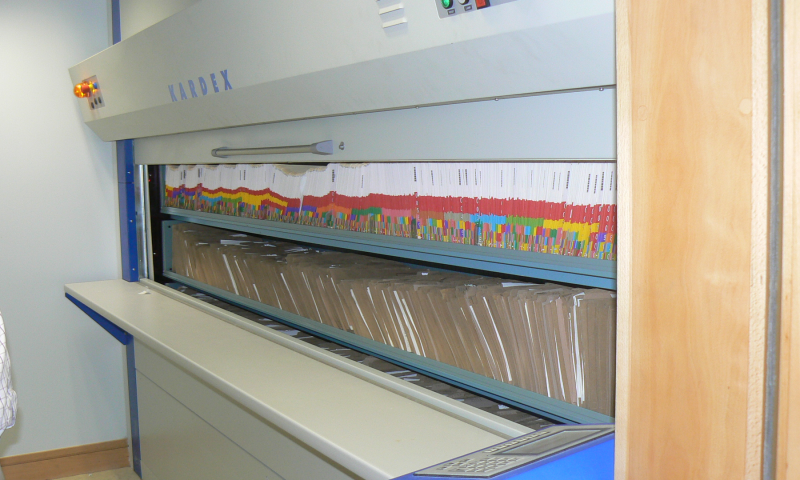 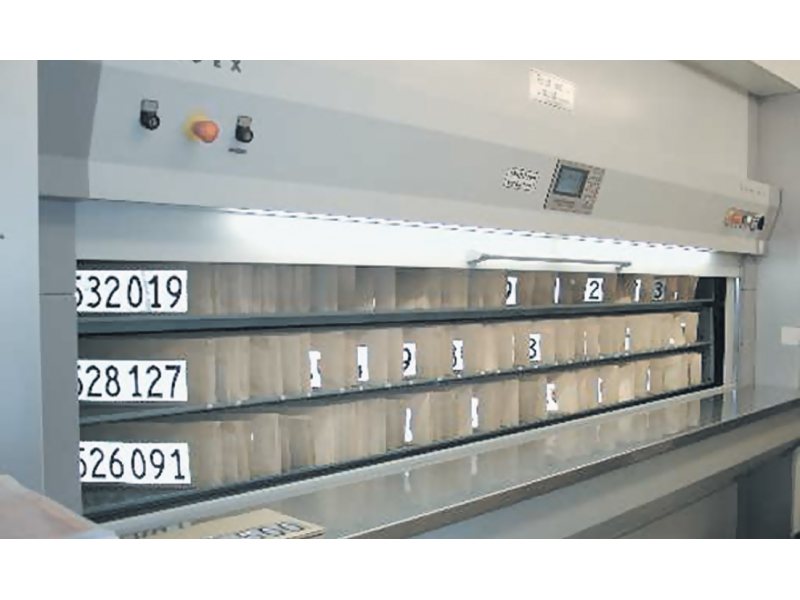 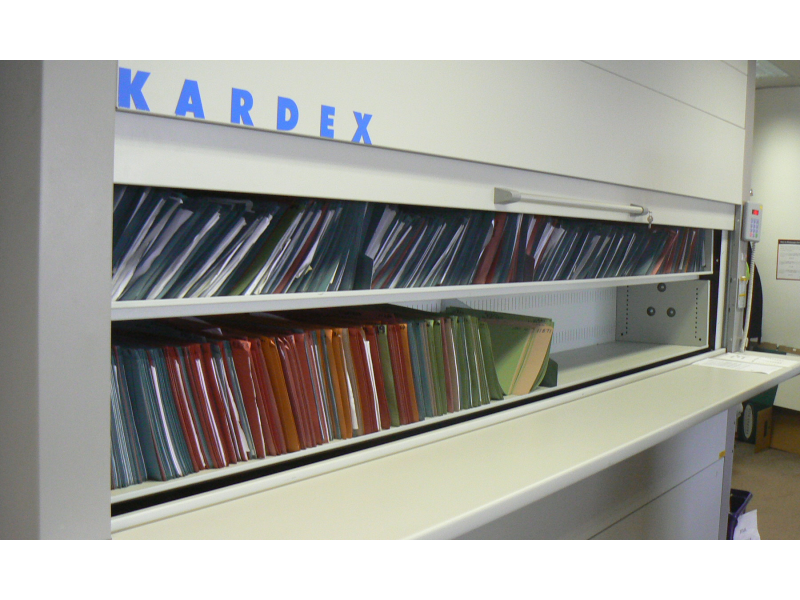 The Kardex Lektriever carousel offers high density storage for office documentation, files, folders, CD's and valuable items in a clean, secure, easily accessed unit. Saving Space – Remove all the filing cabinets off the floor and create more office space. 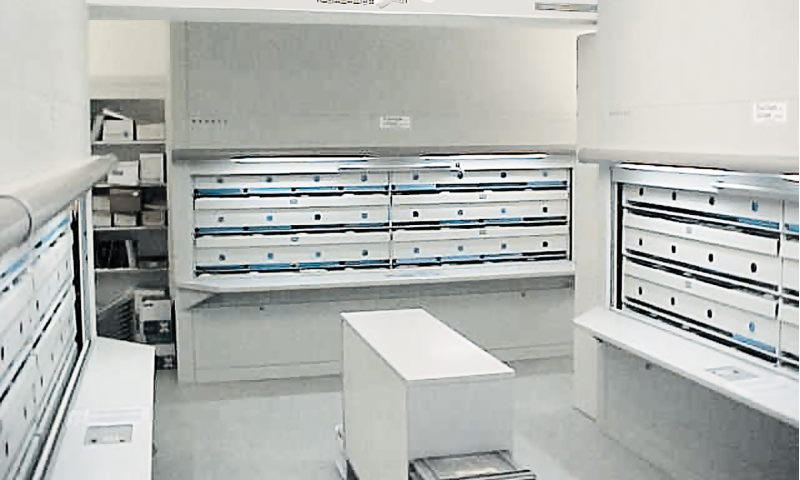 Easy Storage – No more bending and stretching. 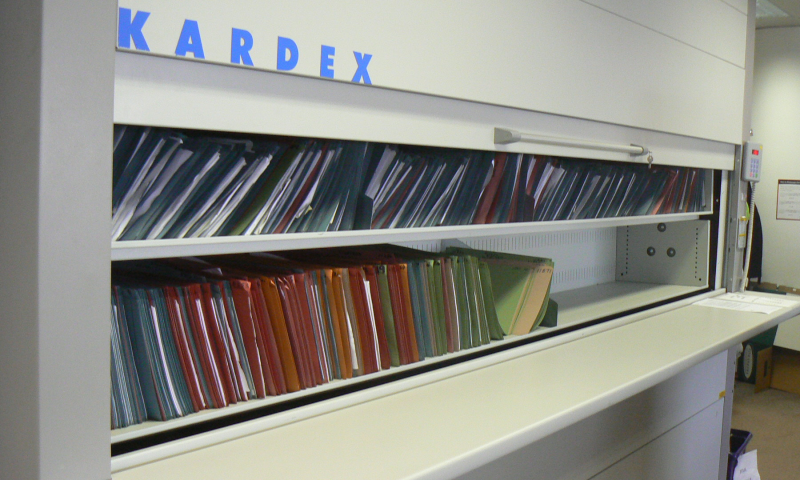 Folders are delivered at waist height. 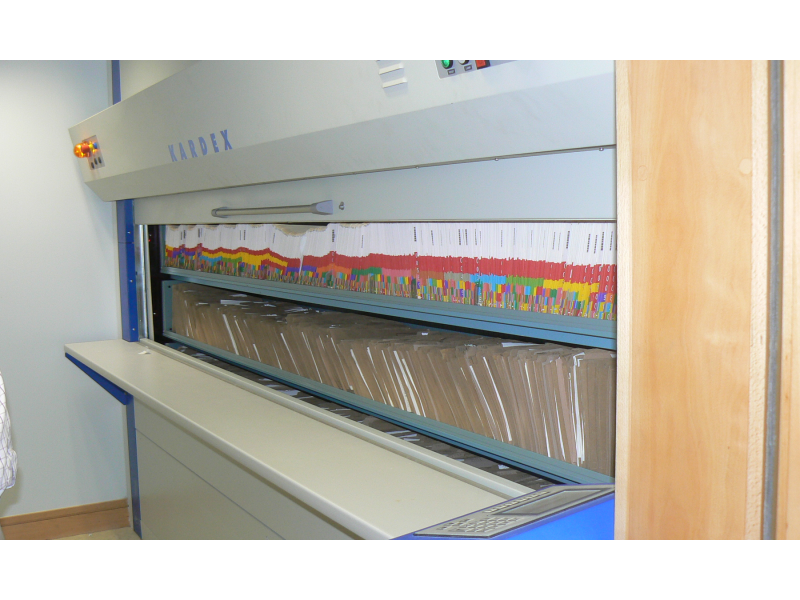 Security - The files and folders are protected against dirt, damage and unauthorized access. 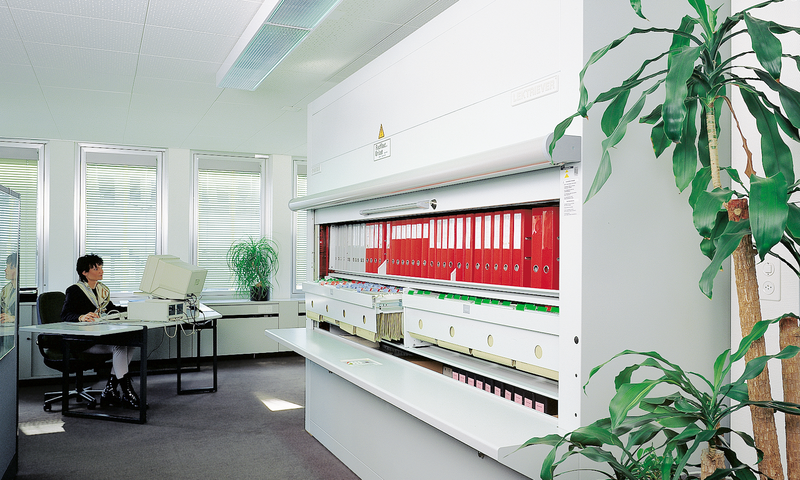 Fire Protection - The enclosed environment of the carousel can be protected from fire using gas protection.